In the news are stories concerning costumed characters in Times Square. 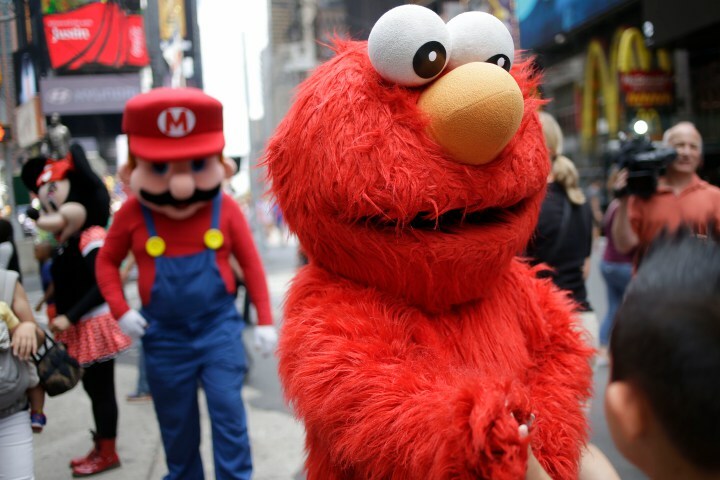 For those who have not visited the center of New York City lately, individuals dressed up as Elmo, Super Mario, and Spider-Man, and others have been congregating in Times Square. They entertain tourists, and many people like to have their pictures taken with them. Unfortunately, some of these “characters” have become aggressive, demanding money from tourists for having their photos taken, and recently, “Spider-Man” has been arrested for an altercation with a New York City police officer. New York City officials are now considering their options regarding licensing these individuals and imposing other legal restrictions on them. Legally, there are several issues in play. The right of any individual to congregate in a public place and to ask others for money may be protected by the First Amendment to the United States Constitution, which protects freedom of speech and freedom of assembly from governmental restriction. Of course, there may be reasonable limitations placed on such freedoms, especially where it may interfere with the safety of others. Previous court decisions in New York have ruled that the right to ask others for money in a public place constitutes freedom of speech and cannot be considered criminal behavior. Another legal issue is the whether the right to appear in public as certain characters from fiction is an infringement upon the owners of those characters. The legal rights to both the names and appearances of many of the characters appearing in Times Square, such as Elmo and Spider-Man, are owned by large corporations. The costumes, names, and persona of these characters are protected by legal trademarks. This means that no one can generally use these characters for commercial purposes without the consent of the trademark holder. Such consent usually also involves payment of royalties to the trademark owner. For example, a company would not be permitted to use Elmo on a television commercial without the permission of the corporation owning the rights to that character. Nor would a company be permitted to publish their own Spider-Man comic book, as the rights to the Spider-Man character are owned by Marvel Comics. The question then arises, why haven’t these rights holders asserted these rights to stop the troublesome Times Square costumed crew? Legally, they have the right to bring an action in the appropriate Federal District Court for trademark infringement, as their characters are clearly being used for commercial purposes without their consent. The trademark rights holders may have decided that they do not want negative publicity that may result from such a lawsuit. Recent events may have forced their hand, and it is possible that they will take legal action in the future. As a registered trademark holder, these companies have the legal right to have those unauthorized users “cease and desist” from such use. It is also possible that the rights holders can instead license these users, and, as a condition of same, require that they confirm to certain standards of behavior, as well as pay an agreed upon licensing fee and percentage of the profits to the trademark owners. Our firm is available to assist all trademark holders who may wish to protect their rights against all potential infringers, whether or not they are in costume.